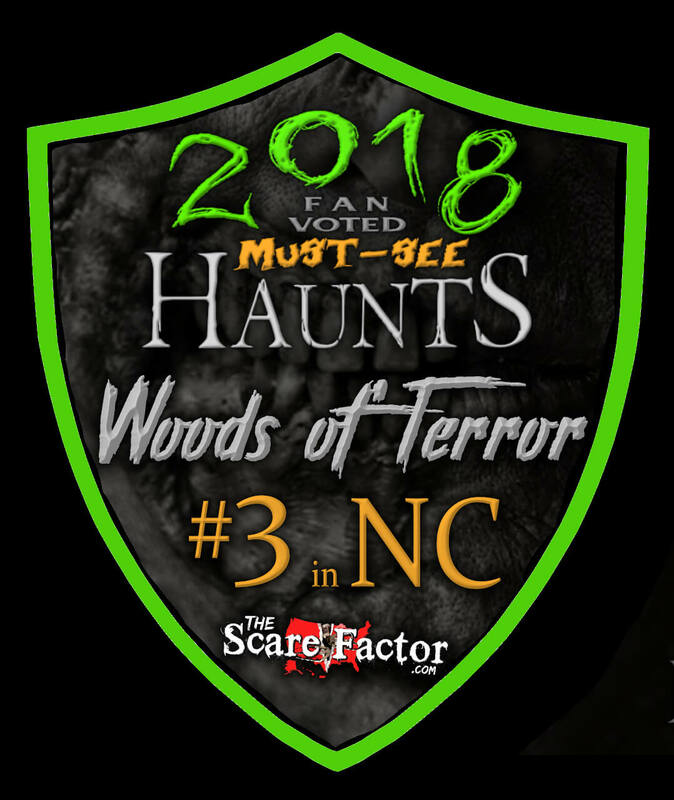 Woods of Terror is a Haunted Attraction located in Greensboro, NC. 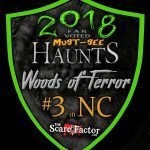 This was my first visit to Woods of Terror. I was impressed with the midway actors and the laid back …show more atmosphere.I had heard about certain parts of the attraction that may trigger my claustrophobia which made me a little nervous. I was the skinniest one in the group which really helped when we went through the tight areas which were basically like a giant inflated tunnel that we had to squeeze through. The actors and sets were great. I was very entertained. I can’t really give a good review on the “scare factor” because it takes alot to scare me. The other girl in our group was victim of several jumpscares which caused her to scream a bit. My favorite part was the 3D clown house. The effects were amazing. I told my boyfriend that I wanted a room in my house with the 3D skulls on the wall lol. I really like the actors’ dialogue and the banter between us and them. They were fun! I was impressed with the flow–how one set bleeds into another almost seamlessly. The sets were detailed and well planned. The actors used their scare space well. The parade to the heavy metal Woods or Terror theme song, then the National Anthem with fireworks was a great way to bring a crowd together and kick off the night! I had a fun time! Everything was perfect to the T got the literal P scared out of me by a couple of different actors …show more Eddie McLaurin has a great showed put on I wouldn’t miss it if I was you.